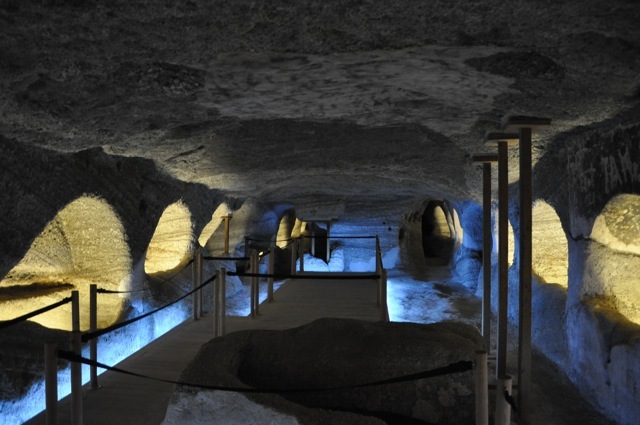 The Catacombs of Milos, in Milos Island, dating from the 1st - 5th century, are among the three most important of the 74 discovered worldwide, together with the catacombs of Rome and the Holy Land. 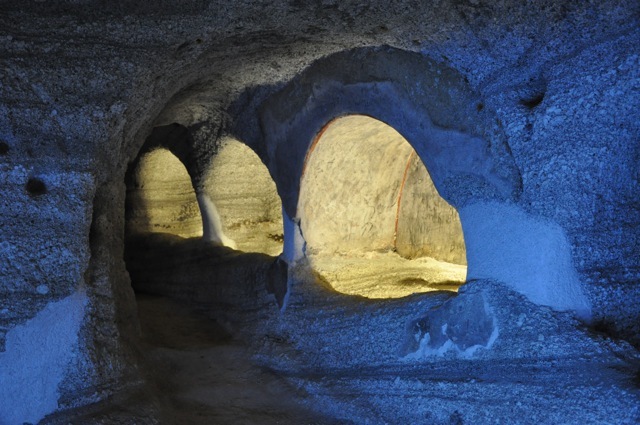 It is possible that the Catacombs of Milos are older than the ones of Rome. 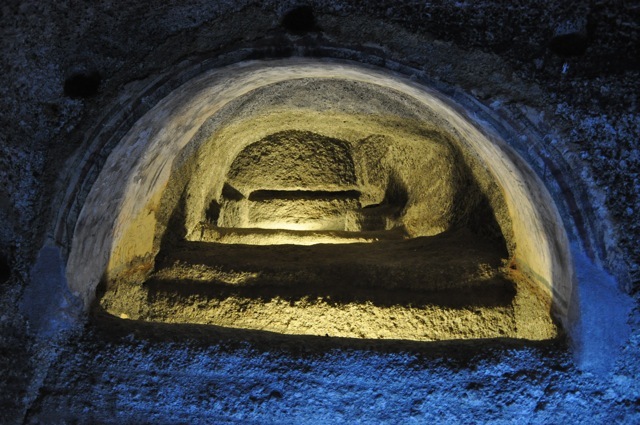 Perhaps only a small part of a sizable necropolis at the foothills of the village of Trypiti, the Catacombs of Milos were used by the early christians first as a burial site and later also as a place of worship and a refuge after persecution by the Romans became widespread. 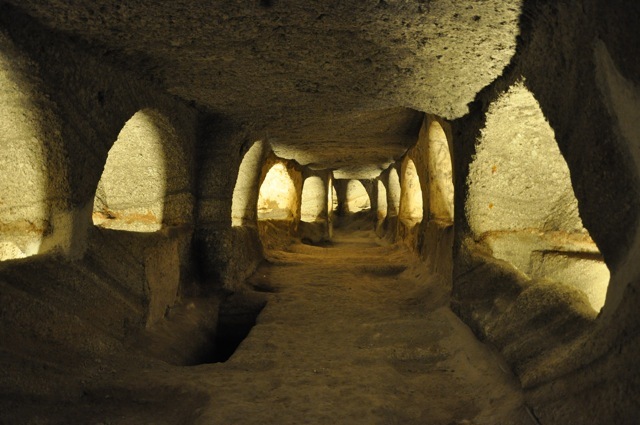 The Catacombs of Milos are considered to be the most important early Christian monument of worship in all of Greece. Excavations commenced in 1843 by professor Ludwig Ross, 3 years after the discovery of the monument, but after it had been already ransacked by tomb raiders. 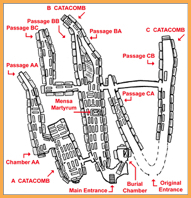 Thus far, 3 sections have been unearthed, spanning a total length of 183 meters in several passages. 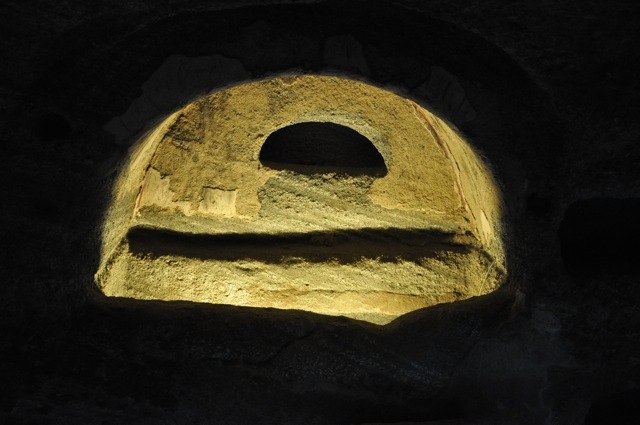 It is estimated that upward of 2,000 christians were buried in the 291 arcosolia and floor tombs used as family graves containing 5-7 dead each. 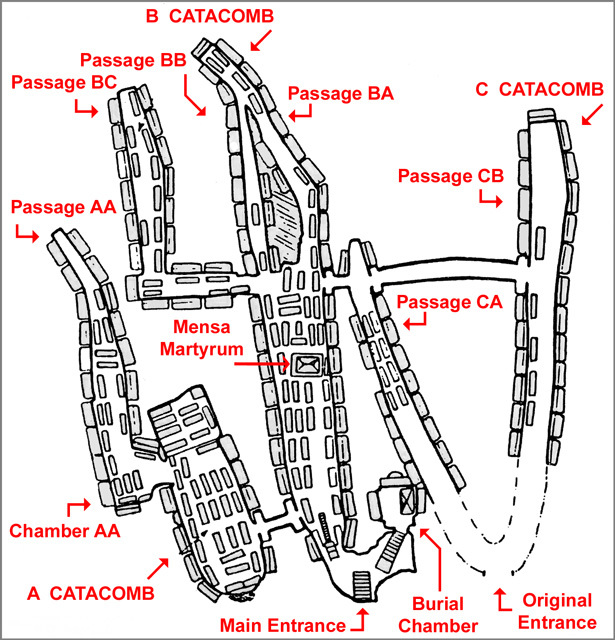 Currently, access to the monument is limited to the main chamber of section B, the Chamber of the Presbyters (Elders) as well as the main chamber of section A, plus a small section of the northwest passage. 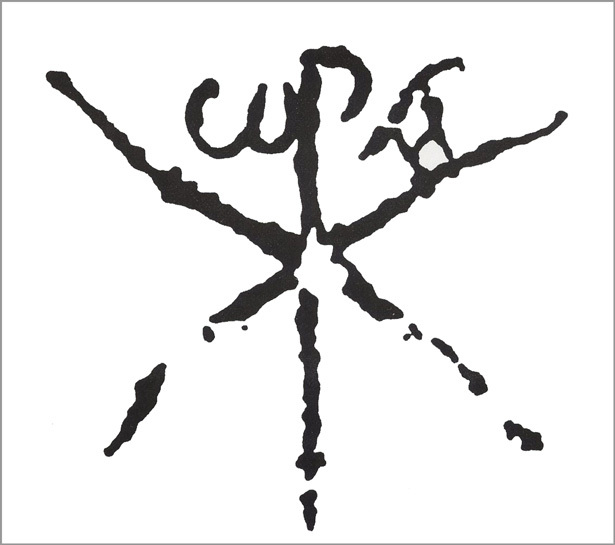 Still visible to the visitors of the Catacombs of Milos are inscriptions on the walls including the Monogram of Christ and the ecumenical Christian symbol "ΙΧΘΥΣ", hollows used for lamps and votive gifts to the departed, and a couple of graves of infants. 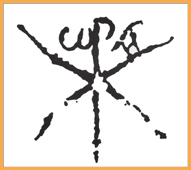 There is ample evidence that most of the first converts to Christianity in Milos were Jews. 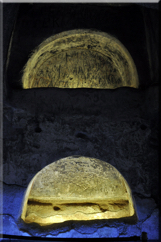 There was a substantial Jewish community on the island, as well as indications that St. Paul himself, was shipwrecked in Milos on his way to Athens from Crete. Consequently, when St. Paul encountered his own ethnic element in Milos, according to professor Adolph von Deissman, "...his teachings fell like a seed on fertile soil".